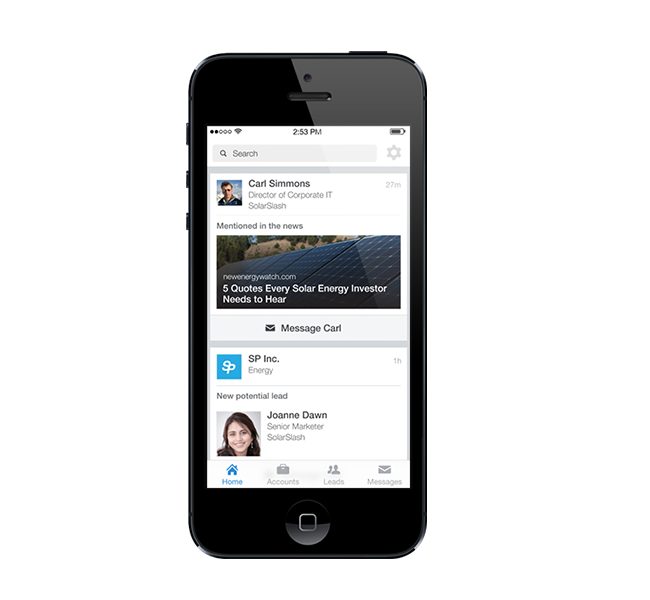 Learn how to do more social selling on the go with the new LinkedIn Sales Navigator iPhone app for iOS. Focus on the right people and companies, enabling you to find prospects faster. Remain Informed on key changes with target accounts, which helps qualify new people and keep updated on status changes. Build trust with your customers, build your professional reputation, and reach prospects with the right context. Be the first to know when your leads change roles, have a job anniversary, or connect with someone in your network. 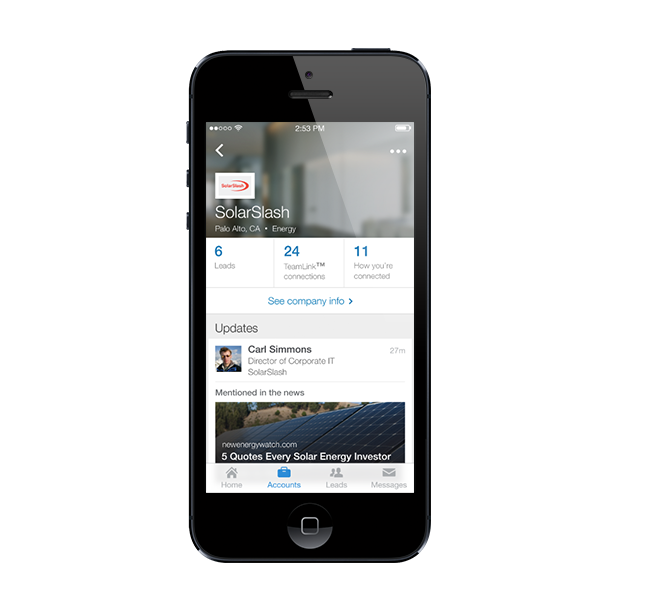 Sales Navigator’s real-time updates are instantly available within the app, so you’ll never miss the latest news. 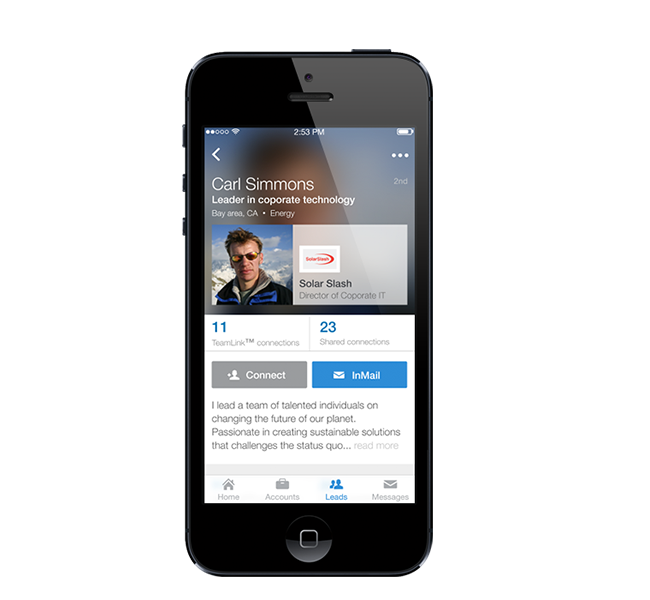 View your leads’ LinkedIn profiles directly within the app. You can take further action within profiles by sending InMails, creating customized Connection Requests, and saving new leads. Follow up on that promising prospect meeting by connecting with your contacts immediately afterward. Save these leads within Sales Navigator to see their updates on your homepage, Account Page, or their profiles. No email address? No problem! 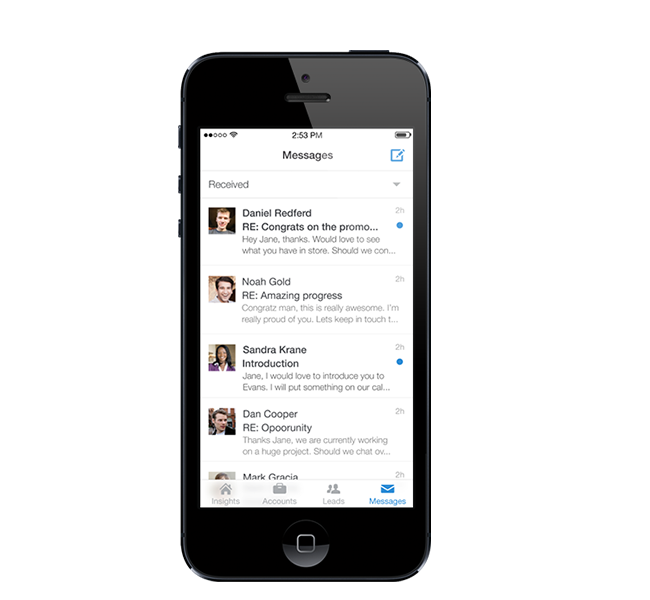 Reach your new prospects directly with an InMail from the Sales Navigator app, and start meaningful conversations at the touch of a button. With TeamLink, you can discover who on your sales team knows a prospect prior to entering a meeting. 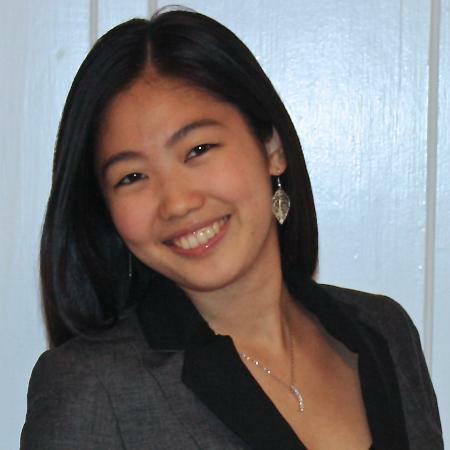 TeamLink helps identify common connections, and suggests warm introduction paths for sales professionals to follow. 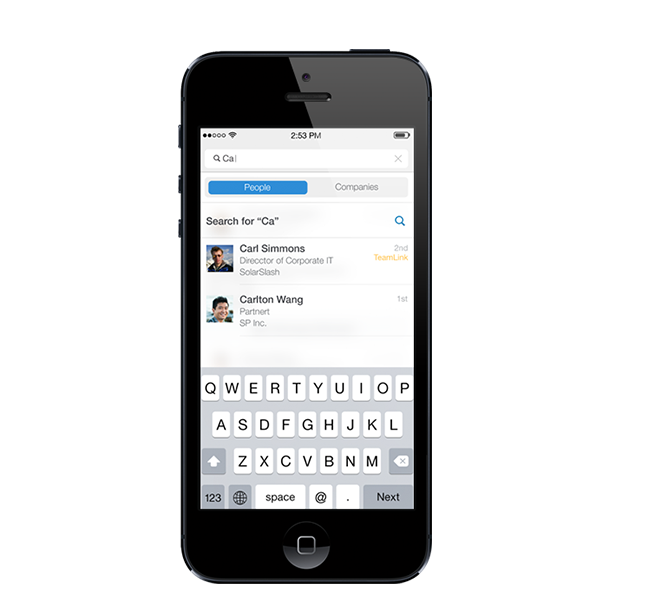 Current LinkedIn Sales Navigator users can simply download the iPhone app today for free, login, and get started. Not using LinkedIn Sales Navigator yet? 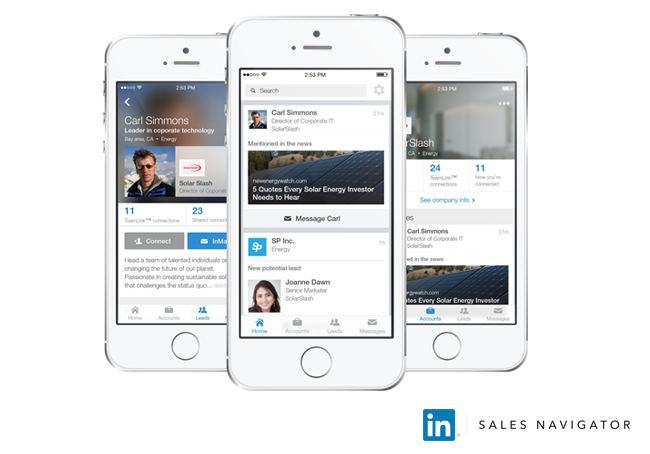 Watch the video below to learn how the new LinkedIn Sales Navigator transforms social selling.